Ryan’s Bears Workshops in the Lower Lounge at 9:30 am. 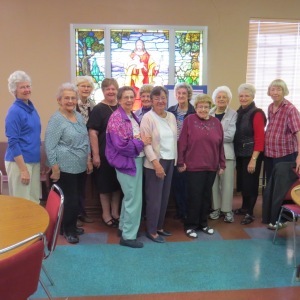 From September to May, Trinity’s women meet twice a month to serve these purposes. 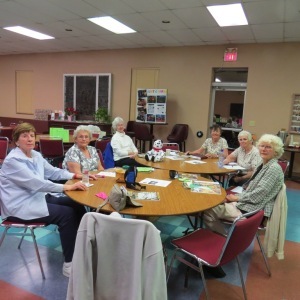 On the second Tuesday each month at 10:00 am, Women’s Circles meet at the church for prayer, study, fellowship and service. The lessons are led by a lay leader, using the Horizons Bible Study materials. On the third Tuesday each month at 9:30 am, Ryan’s Bears workshops are held to cut, stitch, glue and stuff teddy bears. Named after a young member of Trinity who was killed in a car accident, Ryan’s Bears provide security and comfort to children from abusive environments. Trinity Presbyterian Women will be collecting new socks AND gently used or new shoes for foster care children in Tucson, specifically for Arizona’s Children Association. All sizes are needed. This will be an ongoing project for TPW and Trinity. Please direct questions to Kathy Moser or Lori Boston through the church office. We thank you in advance for your kindness and generosity.